Recognizing the needs of patients as well as doctors is essential to healthcare. We may have ideas about what those needs are, but how do we include them in decisions about healthcare reform? Both patients and healers (since this doesn’t apply only to doctors) have to combine strengths and recognize weaknesses for a trusting relationship to emerge. Pure autonomy doesn’t exist for either participant; it’s the caring connection itself that defines our ability to cope with adversity and begin the healing process. Trust in the relationship and an ethics of caring are cornerstones of relational bioethics advocated by philosopher of science Alfred Tauber. Improving health requires trust on the part of patient and doctor. The relationship is part of them, and they are partly defined by that relationship as well. 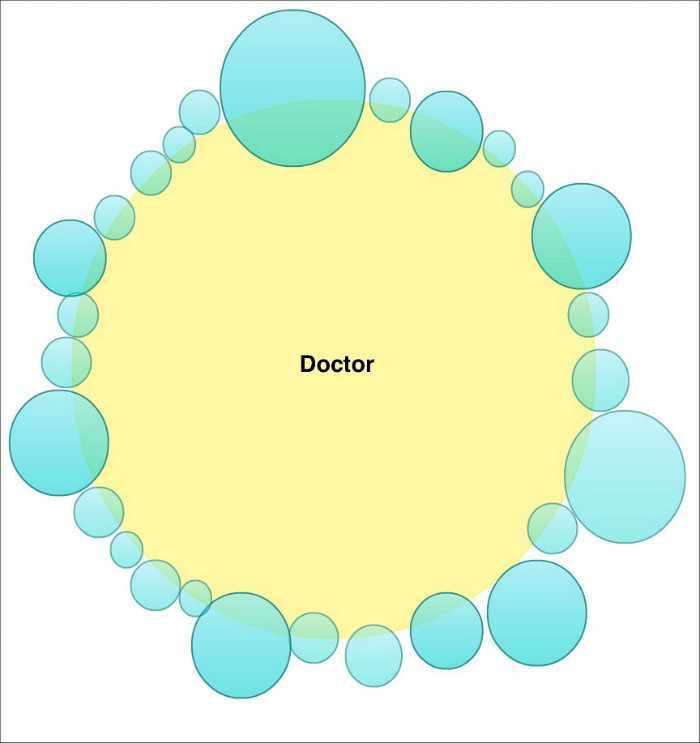 The therapeutic relationship is the core atom of healthcare; it’s what binds us together. If we want a better healthcare system, we need to start by strengthening that core, not eroding it. Strong healing relationships require that both patients and healers have their needs met. One way to evaluate the value of institutional policies, technologies or legislation is to ask a simple question: Does this change improve or weaken patients, healers or their relationships? If a proposed change does not have a net benefit on elements of the healing holon and promote trust, perhaps it’s not worth pursuing. This idea may give us a better way to evaluate new reforms. I can’t quantify the value of each holon, but these examples show how some relationships will be more important or trusting than others. 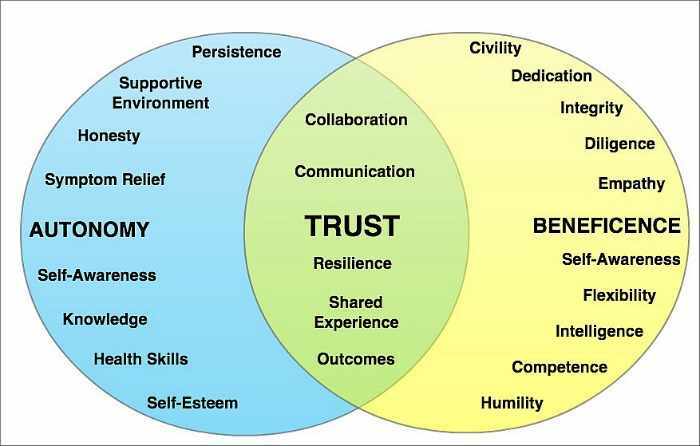 The more overlap and trust, the better. Seeing is believing, but you have to believe in something first to see a solution. What do you see? What do you believe? All images from Matthew Katz, M.D. Dr. Katz is a Platinum Fellow in the Social Media Health Network. Improving healthcare requires that both patients and healers have their needs met. 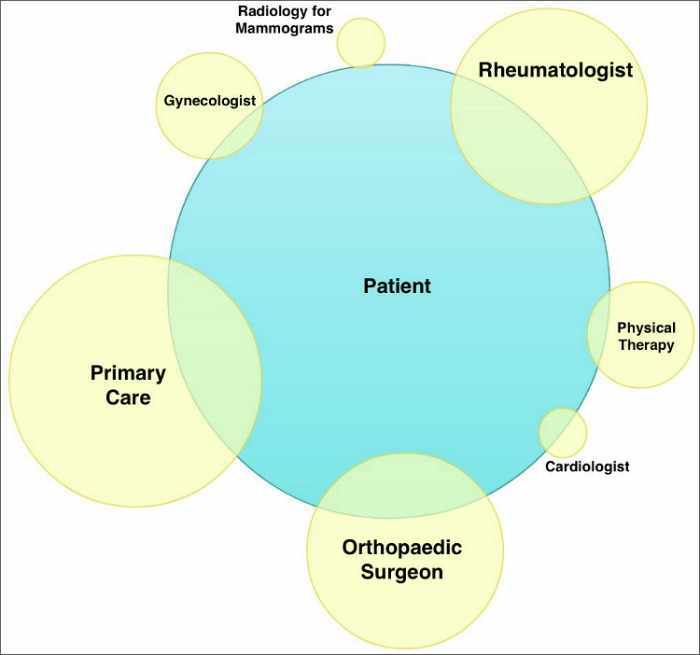 How do we include patient and physician needs in decisions about healthcare reform? Relationships lie at the core of all effective healthcare. Here's why that's important. A better healthcare system can only be built on a strengthened doctor-patient relationship. 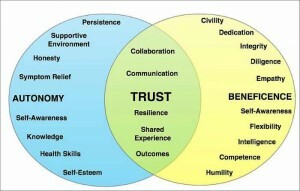 In order to be effective, healthcare reform has to build trust between patients and physicians.